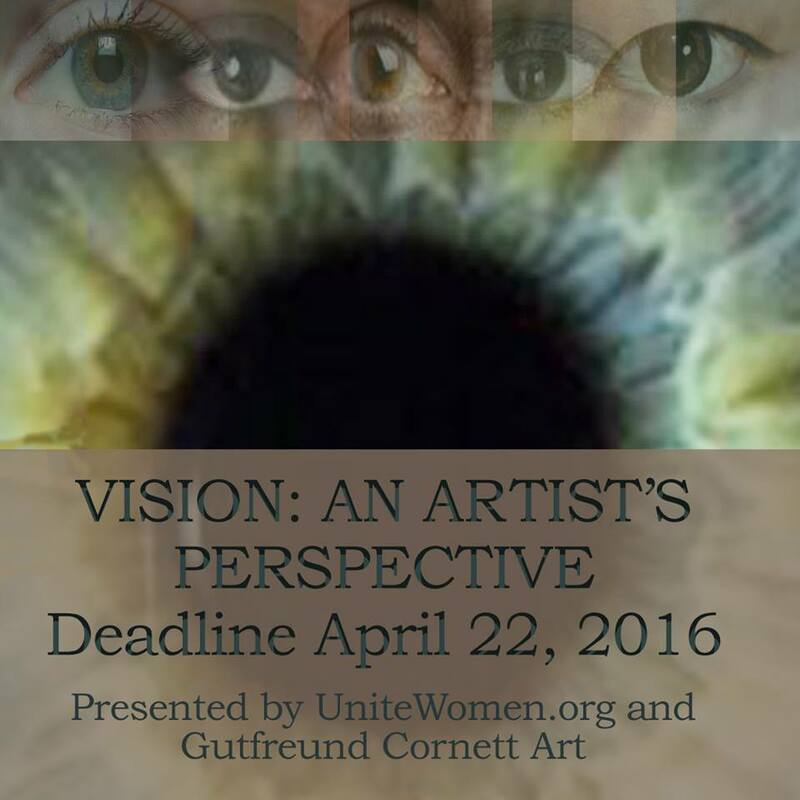 ELIGIBILITY: Open to all self-identified women artists. UniteWomen.org and Gutfreund Cornett Art ask self-identified women artists to respond to and take an active role in this conversation, to create an exhibition in all mediums and genres, art that ranges from literal to poetic, abstract to representational, and psychological, to social and political commentary, art that represents the prismatic, collective vision for our future, that inspires communities and provides a framework for true innovation in our time. Three works by each juror will be chosen from the approximately thirty-five installed works to receive Special Recognition and these artists will receive an exhibition catalog. These pieces will be highlighted within the gallery, in the print and online galleries, at the top of the Gutfreund Cornett Art online gallery and on the UniteWomen.org web page. Michelle Nye manages programming at the SFMOMA Artists Gallery, dedicated to the support of a thriving local arts community. Michelle steers Gallery operations, manages art sales and rentals program, organizes events, and sources artwork from the network of contemporary Bay Area artists. A Bay Area native, she resides in Oakland and studied fine art and art history at the University of California, Santa Cruz College of the Arts, the Università di Bologna, Italia, and L’Academia degli Belli Arti di Bologna, Italia. Gallery hours: Tuesday through Saturday Noon-7 pm and until 11pm on First Fridays as part of the South FIRST FRIDAYS art walk. Gutfreund Cornett Art is a curatorial partnership that specializes in creating exhibitions in venues around the U.S. on themes of “art as activism”to stimulate dialog, raise consciousness and create social change. Karen Gutfreund and Sherri Cornett are Curator/Exhibition Directors, Arts Administrators and practicing artists. Gutfreund has worked in the Painting & Sculpture Department for MoMA, the Andre Emmerick Gallery, The Knoll Group, the John Berggruen Gallery, Arc Gallery and the Pacific Art League. With degrees in Fine Arts and Art History, she is a consultant to galleries and for private and corporate collections. Over the past six years, Gutfreund has focused on creating exhibitions for women artists that travel around the country. Sherri Cornett, with degrees in political science and art, has a long history of advocacy, activism and campaign work around issues of human rights, women’s rights, environment, education and the arts, in board leadership, as an employee and as a volunteer. She focuses on socially-engaged projects in her own art and the projects she directs. Cornett has created international exhibition opportunities for women artists as Director of the Women’s Caucus for Art’s Half the Sky: Intersections in Social Practice Art, an art-based cultural exchange in China, and as Co-Director of Women + Body, an exhibition in South Korea. She has also represented the non-profit and NGO Women’s Caucus for Art at United Nations conferences. UniteWomen.org is the national non-partisan 501(c)(3) tax-exempt nonprofit organization that works to end inequality for women that stems from prejudice and discrimination and works to advance the human and civil rights of women and girls.